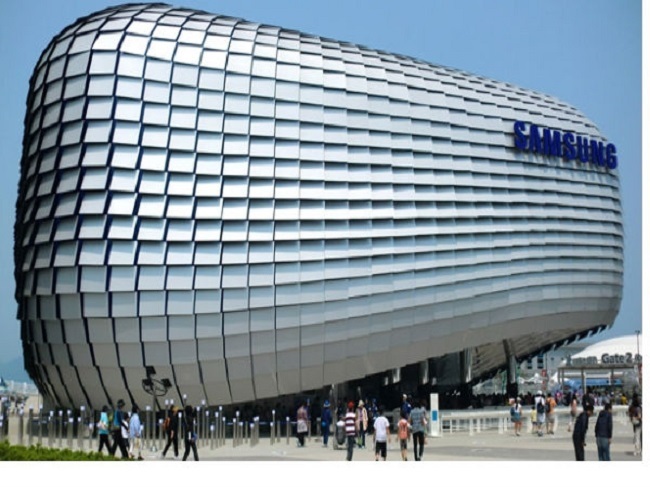 Samsung Electronics (KRX:005930), the Korean tech behemoth has a presence in nearly every tech sphere. From refrigerators to smartphones, the company produces all types of products. The Samsung Galaxy Note 7 is also due in a couple of days. Right now, its earnings for Q2 FY16 are out, so lets see how Samsung’s doing in terms of numbers. Looks like things are slowing down at Samsung when it comes to operating profits. Operating profits for FY16 Q2 stand at 8.14 trillion Won, an increase of 1.24 trillion over the year. When compared to year on year growth for Q1, this marks for a 0.46 trillion decrease. Quarter on Quarter results are strong however, with operating profits for the previous quarter being 6.68 trillion. Moving towards individual product lineups, the most important bit of today’s release is a year on year decline in semiconductor profits. Semiconductor profits declined to 2.65 trillion the second quarter, from 3.4 trillion last year. Display panel revenues featured a similar decline year on year, although they did manage to recover quite a bit from Q1. The Korean manufacturer is reporting that OLED demand will increase in the future. Quarterly rise in OLED profits is due to increased demand of flexible panels. Keep in mind that we’re talking about TV OLEDs over here – not smartphone ones. For smartphones, the company’s looking to target China more aggressively, particularly for low and mid level devices. Summing it all up, both sales and revenue have increased for Samsung (KRX:005930) YOY and QOQ. Breaking it down, the company still needs to pay attention towards critical areas which include Display Panels and semiconductors. 10nm is expected to debut next year, so we should see growth over here in the future. The decline in display panels can be attributed to sluggish economic conditions in emerging economies. It’s business as usual for Samsung (KRX:005930), as the company completes the first half of 2016. Marketing expenses are expected to increase over the quarter, owing to the upcoming Note 7 launch. Samsung’s critical success areas have always been its middle and low tier smartphones. These have contributed to growth once again this quarter. With the flagship bracket now saturated with features, it really is time to turn towards other avenues for growth. Unless the Note 7 really does come with an Iris sensor. Thoughts? Let us know what you think in the comments section below and stay tuned for the latest. Note 2: CE (Consumer Electronics), IM (IT & Mobile Communications), DS (Device Solutions), DP (Display Panel).